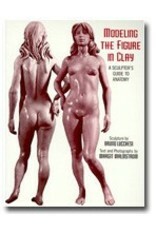 The famous sculptor shows how he creates a complete figure in clay. Covers skeleton, male & female anatomical figures, skin and hair from all angles with close-up details. 144pp. 250 B&W photos.